It's chilly outside these days, so our new Outfit of The Week is all about getting cozy-chic. When it comes to dressing up for the day, especially for work/business, you want to look polished, but also feel somewhat comfortable. We started off our look with a sweater dressy enough for the office, but cozy enough to feel warm and relaxed. 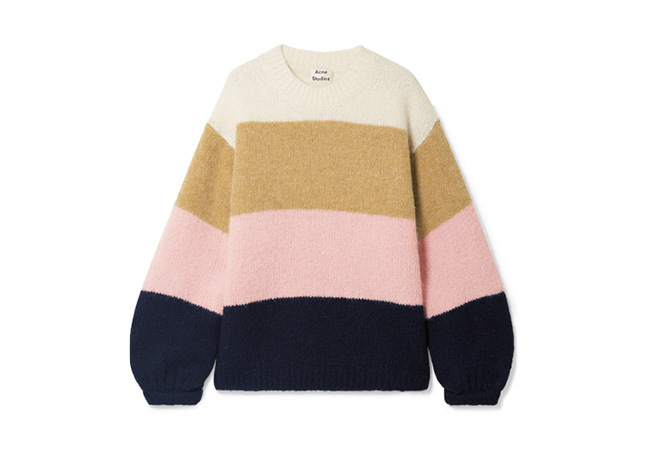 Knitted with touches of alpaca and wool, Acne Studios' 'Kazia' design will not only keep you toasty in cold weather, but the colorful stripes will add a graphic dose to any ensemble. It offers dropped shoulders and a loose, oversized fit. Having confidence in the boardroom comes down to preparation and a sharply tailored outfit - Theory has us covered for the latter. 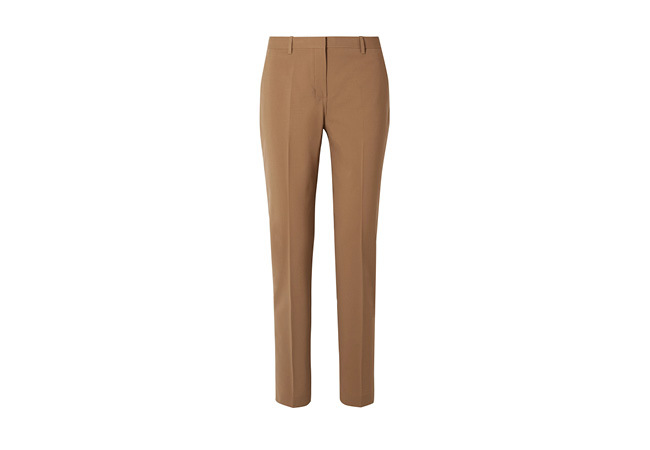 These pants are made from wool-blend that won't wrinkle even after long meetings and cut in a flattering straight-leg shape.To keep the color-block trend going strong, we brought a little pizzazz to our feet. 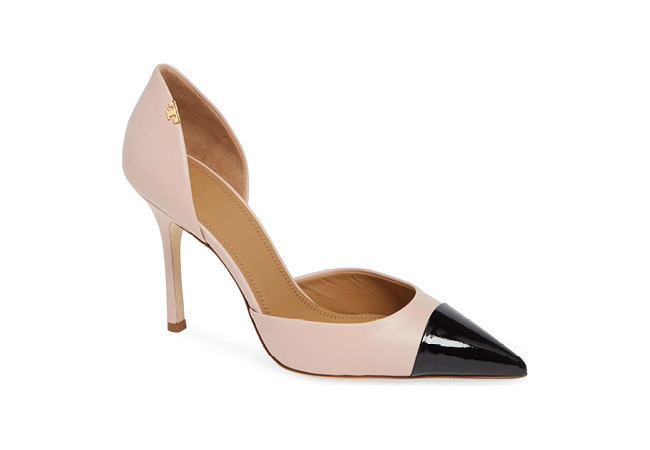 The two-tone spectator styling of these Tory Burch beauties refine an Italian leather d'Orsay pump handcrafted with a pointy toe and slender heel that help lengthen the leg. While the petal pink shade softens the look, the tips of black mean business. Speaking of black, when deciding on a bag, the focus was on looking classic and effortless. 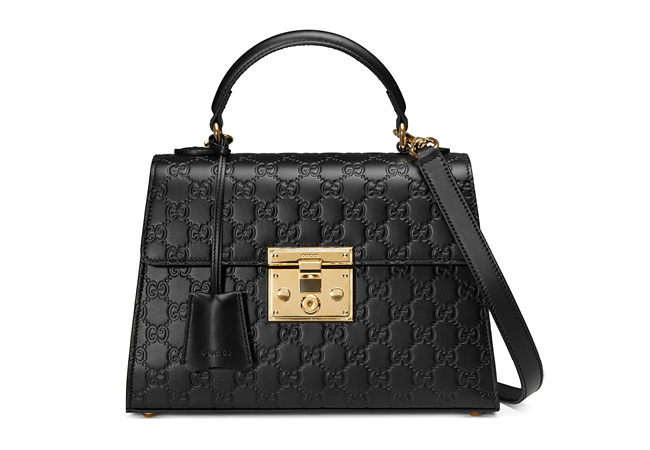 A lock closure culled from the Gucci archives gleams against the signature debossed leather of a staple bag featuring a hand-stitched top handle, optional shoulder strap and sueded interior. In an effort to keep jewelry simple, we couldn't resist adding a personal touch. 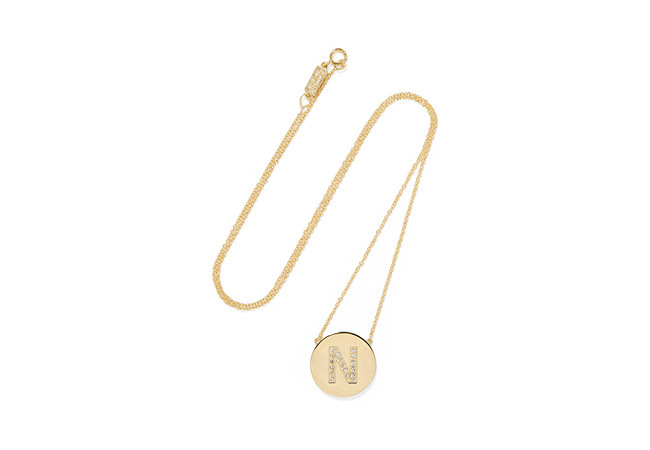 Jennifer Meyer's handmade 18-karat gold initial necklace is a lovely way to lend a hint of sparkle. Wrapping things up is what every working gal needs to feel a little pampered - a fresh manicure. 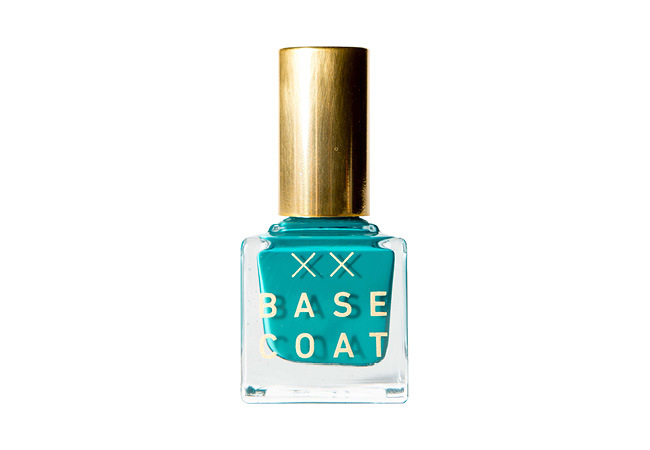 We chose Base Coat's 'Rose' shade for one last feminine touch. The best part about this outfit is not only does it look great behind a desk, you can easily take your 'Block Party' straight to dinner and drinks after the clock strikes 5.